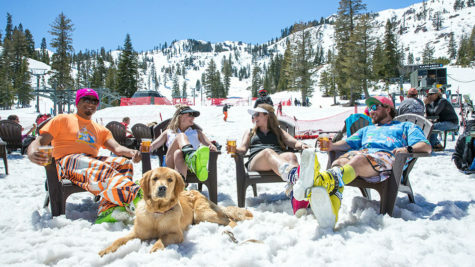 While the Reno Tahoe area is known for its world-class skiing, there are plenty of other options for playing in the snow. If you’re driving to Reno from the Bay Area, plan a rest stop at one of the snow parks along the way. The snow parks along Interstate 80 are maintained and provide parking for those who need to stretch their legs or want to venture out for some sledding, tubing or snowshoeing. In addition to these designated snow parks in the Reno Tahoe area, several area resorts offer tubing hills and other snow fun for kids of all ages. 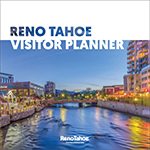 Whether you want to stop on your way to or from Reno Tahoe or decide to make a day trip for some wintertime fun, these snow play areas are conveniently located just a short drive from downtown Reno. Reno snow parks are a little less formal than the Sno-Park program that is run by the California Department of Parks and Recreation, among a few other agencies. 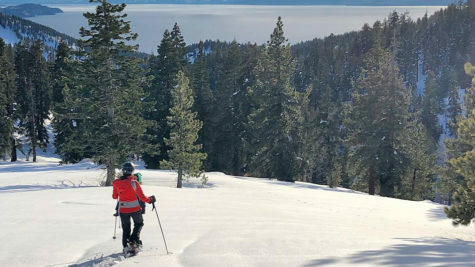 While many Tahoe ski resorts have snow play areas, the snow parks and sledding hills on Nevada’s public lands offer an exciting landscape for sledding, snowshoeing and snowmobiling. Tahoe Meadows is located just west of Mt. Rose summit and a perfect stop for some snowy fun if you’re traveling between Reno and Incline Village. This snow play area is located along both sides of Nevada 431 (Mount Rose Highway), about 15 miles from Reno and the intersection of 431 and U.S. 395. The majority of the area is public land within the Humboldt-Toiyabe National Forest with plenty of hills to sled or tube down and open spaces to explore. Parking is available along the highway for non-motorized snow play, the snowmobile area is on the north side of the highway. If you are staying in Reno, the Galena Creek Visitors Center and Recreation Area is a great place to visit to play in the snow. While there aren’t large hills to bomb down on your sleds or tubes, there are plenty of trails perfect for snowshoeing. At Galena Creek during the winter months, you can find enough snow to check the snow angel, snowman and snow fort off yours and your family’s wintertime want-to-do list. Don’t forget your furry friends – this is a pet-friendly area and a great place to let your pup explore the snow. To find Galena Creek, take the first entrance to Galena Creek Recreation Area from Mount Rose Highway right after the road enters the forest. Drive past the Visitor Center to the parking area at the end of the road and start taking in the scenery! The snow play area in Incline Village offers sledding for the whole family. To find this snow park, head over the Mount Rose Highway from Reno toward Lake Tahoe. At the roundabout intersection with Nevada Highway 28, head east toward Incline Village. Turn left at the intersection of Highway 28 and Northwood Blvd. Follow Northwood Blvd to Fairway Blvd and head toward the Incline Village Championship Golf Course. You will find the snow play are on Fairway Blvd next to the Chateau Clubhouse. Make sure to bring your tubes, snow discs and sleds as this Tahoe snow park is fun for the whole family! The Boreal tubing park is the perfect Tahoe snow park experience for beginners. The park offers both all-day and 90-minute scheduled sessions to choose from, groomed hills and two moving carpets for easy access to the top of the hills. Tubes are available for rent as personal sleds and tubes are not permitted. 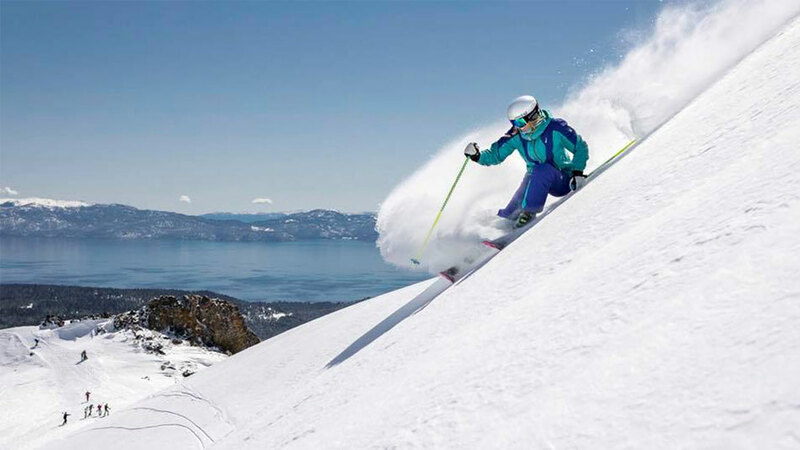 Soda Springs Ski Resort offers some of the best family-friendly snow park fun in Tahoe with Tube Town and Planet Kids! The Tube Town snow tubing area has up to 20 lanes and a surface lift to take you back to the top of the hill. 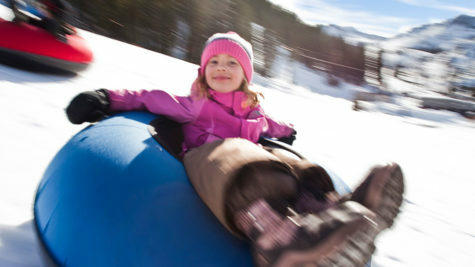 Plant Kids is a snow playground with tubing carousels, tubing lanes, snow volcanoes to climb and more snowy fun. Located at the top of the gondola, Heavenly’s tubing hill is over 500 feet long and has a magic carpet to take you back to the top. This Tahoe snow park provides fun for the whole family with both tubing and mini-tubing options. For some additional wintery fun, check out the gravity-powered alpine coaster or the Heavenly Village ice rink. Open Friday, Saturday and Sunday, this snow park is conveniently located in Truckee and offers established tubing lanes as well as usage of tubes, sleds and other snow toys. Guests can also refuel at their food truck, TD Eats, serving hot food and drinks on Saturdays and Sundays. The Sno-Park program is managed by the OHMVR Division of California State Parks, the U.S. Forest Service, the California Department of Transportation, the California Highway Patrol, and other community organizations. Through these departments, winter recreation opportunities are made available at 18 Sno-Park sites throughout the Sierra Nevada. While you’re driving along the highway, make sure to look for the distinctive brown signs located along highways to find where the Tahoe snow parks are located! Remember to grab a sno-park permit before heading to these parks as it is required for each car that is parked at a Tahoe Sno-Park site. Seasonal snow park permits can be purchased online. This snow park is at the Boreal ski area turnoff and is open for all to use with either a day permit or annual pass. This is a great place to bring kids as the park is well-maintained and restrooms are available. If you plan to stop at Donner Summit Sno-Park, make sure to bring your own tube or sled. In addition to snow parks in Reno Tahoe, there are many other snow activities in our area. Check out all of the winter activities in our area. 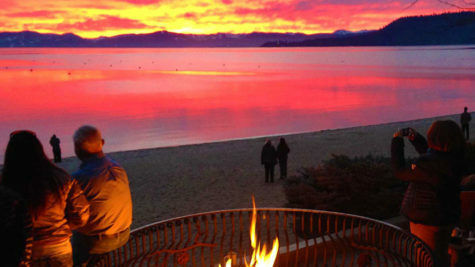 Don’t forget to tag us in your Reno Tahoe winter adventures, too! Hours and features of all snow parks and snow play areas are subject to change.